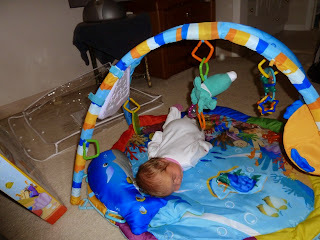 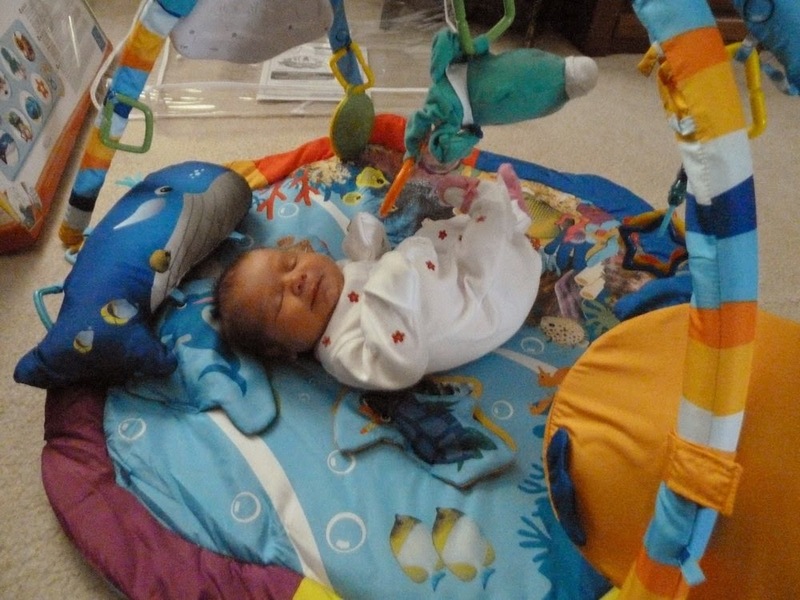 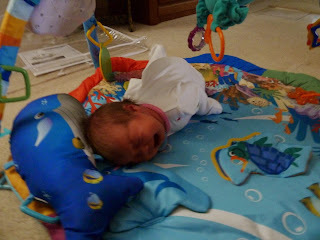 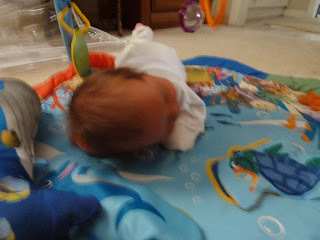 We had our first tummy time yesterday on the play mat from Carrie & Tom Malley. Annabelle started off on her back looking at the toys then I rolled her over onto her stomach. 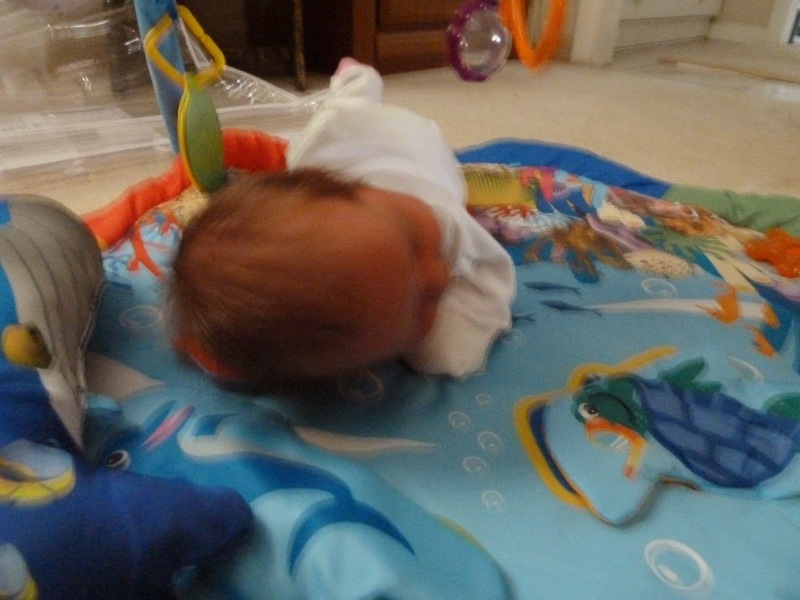 She did really well, pulling her head up twice but then started to get frustrated then finally put her head down and went to sleep!